I was here: everywhere – Go ask Alisa – DIY capsule wardrobe one stitch at a time! I must admit: nostalgia is not my element. But, surprisingly for myself, today I was all about it. I was going through old journals and diaries (who does not have them?! ), postcards and what not. 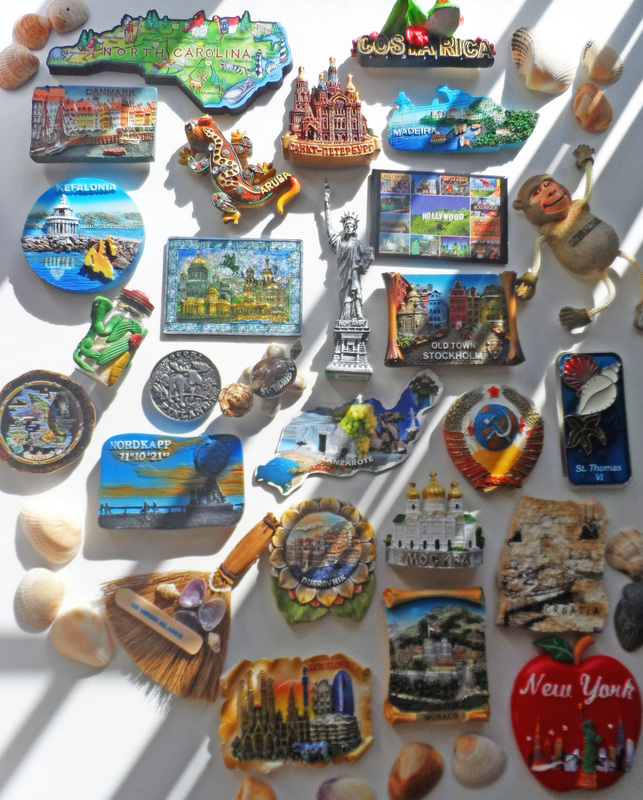 Finally I found a box with fridge magnets, carefully collected from all over the world. I swear, I spent a good hour laying them out, dusting off and preciously handling each one of them. No wonder, those are the memories brought from USA, Mexico, Panama Canal, Aruba, Caribbean, US Virgin islands, Portugal, Canary Islands, Madeira, Greece, Croatia, Italy, Gibraltar, Monaco, Spain, Belgium, Colombia, Costa Rica, Norway, Finland, Russia, Baltic states, Sweden, Germany, Kyrgyzstan, Kazakhstan, France, Luxemburg… and many, many other places. Conclusion: I need to continue the “I was here” column, but meanwhile enjoy the nostalgic touch in the photo below! Lovely photo. It’s only been the last few years that we’ve started buying magnets when we travel. I was inspired by y MIL’s collection & the fact that I don’t have to dust them. Next Next post: Mad Woman. Short story.